Drowsy driving put Tracy Morgan in the hospital; we need to better recognize the dangers. The dangerous practice isn’t stigmatized the way drunk driving and texting while driving are. Comedian Tracy Morgan was hospitalized early Saturday morning after his limo was struck by a truck driver who had reportedly not slept in over 24 hours. Few laws inspire less controversy than the prohibition of driving while intoxicated. And with good reason: According to 2010 data, drunk driving costs the United States $132 billion per year, and nearly one-third of all American traffic-related deaths are because of alcohol impairment. Early Saturday morning, though, a different kind of dangerous driving made the news: drowsy driving. 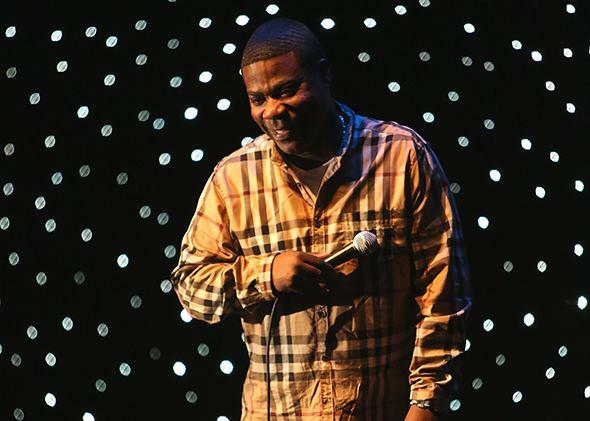 After his limo was struck by a tractor-trailer driver named Kevin Roper who had reportedly not slept for more than 24 hours and was dozing at the wheel, Tracy Morgan was hospitalized (and remains in critical condition) while his fellow comedian and friend James McNair died. And while it’s impossible to know exactly why Roper dozed off, the crash highlights the problem the U.S. has with regard to drowsy driving: It isn’t stigmatized nearly enough. Driving drowsy is, after all, an extremely dangerous behavior. Even without falling asleep at the wheel, as Roper likely did, “Drowsiness slows reaction time, makes drivers less attentive, and impairs decision-making skills, all of which can contribute to motor vehicle crashes,” according to the Centers for Disease Control and Prevention. And the National Sleep Foundation cites a study showing that being awake for 18 hours produced an impairment equal to a blood alcohol concentration of .05, and .10 after 24 hours; .08 is considered legally drunk. It also seems to be a fairly common occurrence—though how common is hard to say since it’s a difficult thing to measure. The CDC notes that some studies have estimated that “15 percent to 33 percent of fatal crashes might involve drowsy drivers.” Even if the actual figure is toward the lower end of this spectrum of estimates, given Americans’ propensity for getting into car accidents, that would translate to a sizable number of accidents and deaths every year. Clearly, at some level, society recognizes the danger posed by tired drivers: That’s why there are laws in place to prevent professional drivers from spending too much time on the road without sufficient rest. Yet there hasn’t been the same PR-campaign push to stigmatize drowsy driving that helped tamp down drunk driving and texting while driving. And that would be the easiest solution here, since researchers have shown that social stigmas are often a much more effective way to get people to change undesirable behaviors than providing them with dry statistics about danger and death. All of this advocacy helped ensure not only that people would think twice about texting and driving themselves, but that they would nag their friends and family members to do the same. Today, if you whip out a phone while behind the wheel, your friend in the passenger seat is likely to give you an earful for it; there’s no reason driving while tired shouldn’t follow the same trajectory over the next few years. So the next time you feel tired behind the wheel, find somewhere to pull over and take a nap or switch drivers—and pressure your friends to do the same. And public-safety experts, get working on an anti-drowsy-driving campaign. But ideally one a bit more serious than this.